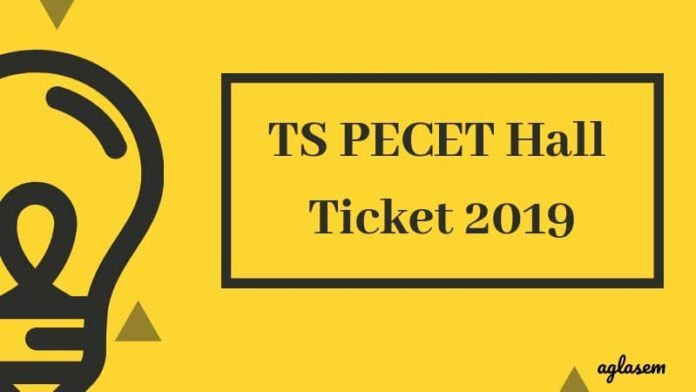 TS PECET Hall Ticket 2019: The admit card of TS PECET 2019 is expected to be issued in the month of May 2019. The candidates who would apply for the exam will get the TS PECET Hall Tickets 2019 from the official website tsche.ac.in. The candidates who submitted the application form without paying the late fee get the TS PECET Hall Tickets 2019 on the due date. 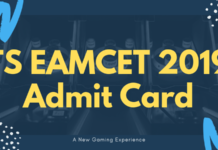 The TS PECET Hall Ticket 2019 for the candidates submitted the form with the late fee are able to download their admit card on the provided date. The candidates will also able to download the hall ticket from this page. Check more details about TS PECET Hall Ticket 2019 from the below-written article. The candidate has to bring the admit card at the time of examination. The candidate without the admit card will not be allowed for the examination. The candidates are advised to take multiple copies of the admit card for the future reference. Also, candidates can check all the important dates of TS PECET 2019 from the table below. Only the exam date is being announced yet. How to download the TS PECET 2019 Admit Card? The hall ticket of TS PECET 2019 examination will not be issued offline. The candidates will not get the admit cards on their e-mail or residential address. The candidates need to download the admit card from the given link. The candidate has to follow the given instructions at the time of downloading the admit card. Click the link which will be provided on this page soon or visit the official site for the same. The direct link will take the candidates on the “Admit Card” page. Click on the “Get Hall Ticket” button. 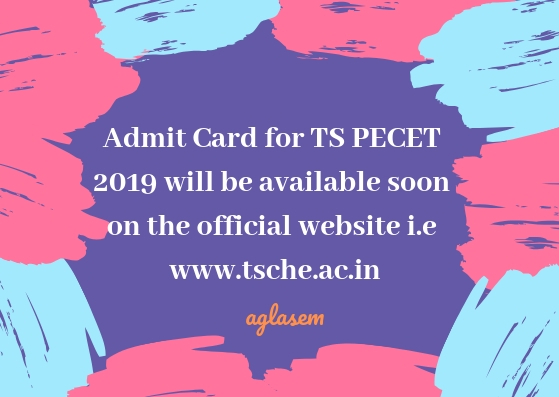 Check and download the admit card of TS PECET 2019. 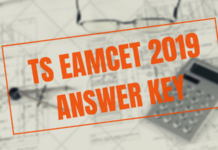 The TS PECET Admit Card 2019 will contain these pieces of information. The candidates can check it from the list given below. It is advised to all the appearing candidates to check the details printed after the arrival of the admit card. In case of discrepancy, candidates should contact the concerned authorities of the conducting body to futher changes. The candidates should read all the details of the admit card correctly. If there would be any wrong information then he/she should inform as soon as possible. The candidature will be cancelled if the details on admit card will be incorrect. Note: Candidate should report to the testing Center half-an-hour before the commencement of the tests with their own playing kit. Below, we have enlisted the important documents that a candidate must bring at the exam centre. Without these documents, no candidate will be allowed to be entered in the hall and give the entrance test as a matter of concern. It is advised to prepare a proper folder for all the documents and keep it in a safe place to avoid end time rush. one hard copy of the TS PECET 2019 hall ticket. one id proof for the verification and submission purpose.